We can already hear the organic food naysayers: Highest quality? Healthy products? Hogwash — the organic industry just wants you buying more of its goods. But the truth is choosing organic-certified foods — when you can and can afford to — is one of the best choices you can make for your children. We should know: as a mom of two girls and an author of books about sustainable food (Anna) and as a pediatrician and father of four (Alan), we have a handle on the research as well as firsthand experience. With a Seabreeze Organic Farm subscription, you can receive fresh, organic fruits and vegetables weekly or every other week. 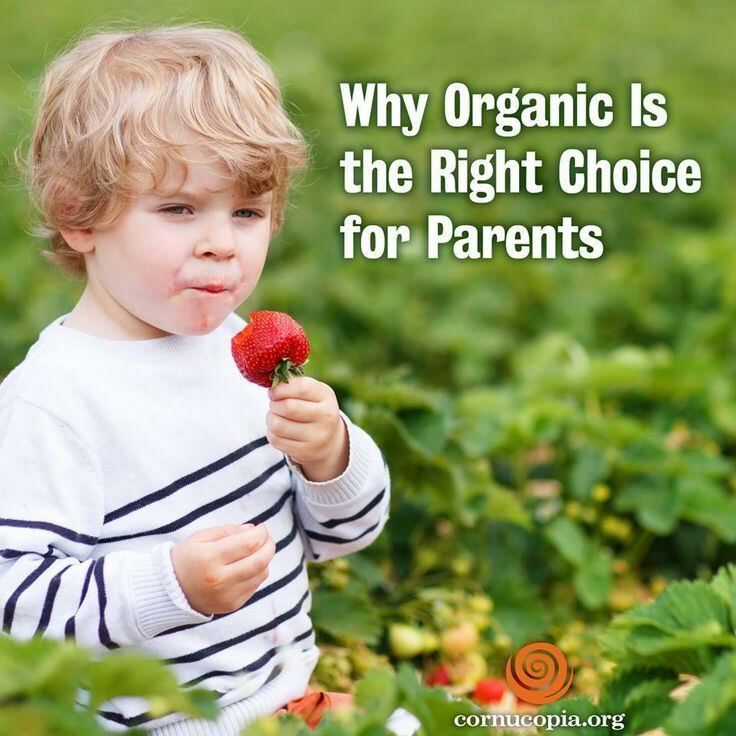 We choose organic because we know, for example, that children fed an organic diet have much lower levels of metabolites of high-risk insecticides in their bodies. We also know that choosing organic food reduces the risk of exposure to toxic pesticides in our diet. The 2008–09 President’s Panel on Cancer report stated, “The entire U.S. population is exposed on a daily basis to numerous agricultural chemicals.” Many of these chemicals are known or suspected to cause cancer or disrupt our hormones, mimicking testosterone or estrogen, its authors continued. “Nearly 1,400 pesticides … registered by the Environmental Protection Agency for agricultural and nonagricultural uses … have been linked to brain/central nervous system, breast, colon, lung, ovarian cancers … as well as Hodgkin’s and non-Hodgkin’s lymphoma” and more. While we can’t limit all of our children’s exposures to toxins in the environment, we do have a say in the food they eat. And one of the best ways to limit their exposure to these chemicals is to choose an organic diet. Because of the persistence of pesticides in the environment, no food is 100% residue-free, but Chuck Benbrook of the Center for Sustaining Agriculture and Natural Resources at Washington State University has found that organic food has significantly lower pesticide residues than conventional food. Choosing organic meat and dairy for your kids is also the best way to ensure that they’re not exposed to endocrine-disrupting chemicals like the synthetic hormones given to nonorganic livestock to speed growth and alter reproductive cycles. And choosing organic meat and dairy means your children are not fed meat that was raised on daily doses of antibiotics to speed growth, leading to dangerous antibiotic-resistant bacteria. Organic food is a healthy choice for all of us but especially for kids. Infants and children are particularly vulnerable to chemicals, in part because their immune systems are still developing and in part because, pound for pound, they’re exposed to more chemical residues than adults. Another reason is that children and babies tend to eat a lot more of certain foods than adults — think bananas or apples. The developing fetus in the womb is perhaps most vulnerable of all: three studies by scientists at Columbia University, the University of California, Berkeley, and Mount Sinai Hospital tracked women exposed to higher amounts of organophosphate pesticides while pregnant and found that once those children reached elementary-school age, they had IQs averaging several points below those of their peers. We make the choice for organic not just for the health and safety of our own children but also for the health and safety of all children, especially to help protect the children of the people who grow and harvest our food. We know, for instance, that children born to women exposed to pesticides in agricultural fields or communities have lower IQs and other troubling health outcomes.